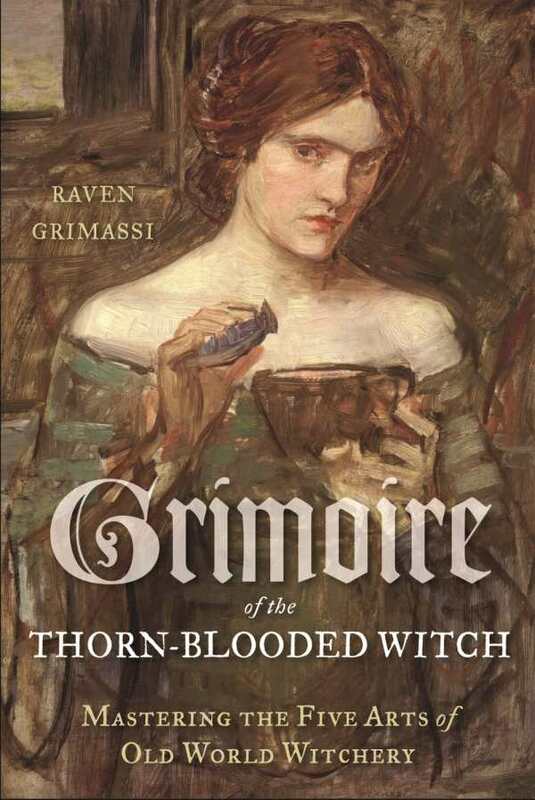 Raven Grimassi first came into contact with the Rose and Thorn Path of Witchery—an expression of the Greenwood Realm—through conversations with Old World Witches. Later, direct contact with the spirits of plants and the deep places within the Greenwood revealed profound things to him. “A kindred connection forms when we emanate with the love of the plant realm, when we sense the moon’s light as sacred, and when we understand Nature as self-aware,” he writes. Indeed, his new book, Grimoire of the Thorn-Blooded Witch, is not about faith or belief; it’s about experiences. Grimassi, a neo-pagan scholar, is the award-winning author of over twelve books on witchcraft, a member of the American Folklore Society, and cofounder and codirector of the Crossroads Fellowship, a modern Mystery School tradition. Eschewing cultural forms, Grimassi brings four decades of personal experience and the relationships he developed with the spirits of the moon, the night, plants, and places to his new system of witchcraft. Based on the oldest of the old ways—the primal ways that preceded cultural forms—Grimoire of the Thorn-Blooded Witch offers practices and techniques for working with the Greenwood realm and explains the five arts of Old World Witchery: herbalism, divination, spirit mediumship, mysticism, and the use of magic. The merely curious will learn a lot about the Old Ways and the lore that developed around them in Grimassi’s book—including why witches came to be depicted as riding on brooms—but make no mistake, this is a manual for serious practitioners. Grimassi makes it clear that mastery is only attained through correct, and sometimes arduous, practice; he also shows that when illuminated by solid teaching and coupled with a bright and compelling goal, such practice cannot help but be transformative.